For Normal Hair: Lavender and rosemary extracts are combined with 13 other certified-organic ingredients plus soy protein and wheat amino acids to leave hair healthy, shiny and manageable. Gently cleans with decyl glucoside, a mild sudsing agent certified for its eco-clean production. Made of pure coconut soap with herbal infusions of periwinkle, sage leaves, chamomile flowers and other natural ingredients, such as willow bark and burdock root, this aromatic shampoo contains no sodium lauryl sulfate or synthetic artificial colour. It helps the hair to resist the stress of pollution, colouring and styling. "An all round star! We loved it’s creamy lather, without too many bubbles, and gorgeous scent that was perfectly balanced. 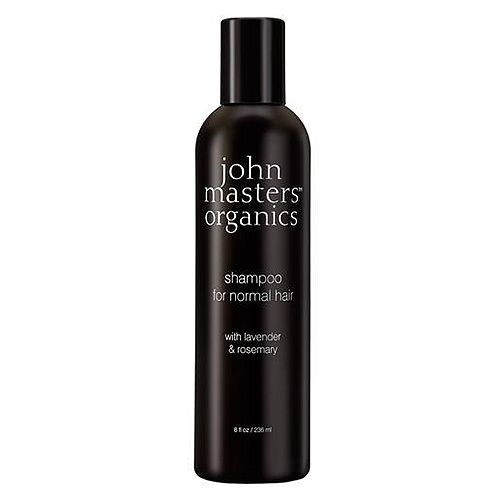 A gentle herbal organic shampoo which is pH balanced, has no sodium lauryl sulphate and good for all hair types including colour treated hair. Will leave you feeling glamoursly green!" 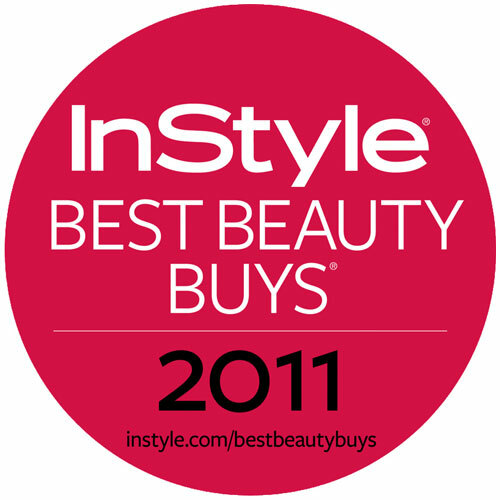 InStyle voted John Masters Lavender and Rosemary Shampoo to the Best Beauty Buy of 2011. Aloe Barbadensis (Aloe Vera) Leaf Juice*, Aqua (Water), Cocamidopropyl Hydroxysultaine, Glycerin, Sodium Chloride, Caprylyl/Capryl Glucoside, Hydroxypropyl Guar, Cocamidopropyl Betaine, Hydrolyzed Rice Protein, Lavandula Angustifolia (Lavender) Oil, Citric Acid, Rosmarinus Officinalis (Rosemary) Leaf Oil*, Caramel, Camellia Sinensis (White Tea) Extract, Symphytum Officinale (Comfrey) Leaf Extract, Salix Alba (Willow) Bark Extract, Panthenol (Vitamin B5), Helianthus Annuus (Sunflower) Seed Oil*, Equisetum Arvense (Horsetail) Extract*, Urtica Dioica (Nettle) Root Extract*, Linum Usitatissimum (Linseed) Seed Oil, Borago Officinalis Seed Oil, Simmondsia Chinensis (Jojoba) Seed Oil*, Lavandula Hybrida (Lavender) Oil*, Chamomila Recutita (Matricaria) Flower Extract, Achillea Millefolium (Yarrow) Extract*, Lavandula Angustifolia (Lavender) Flower/Leaf/Stem Extract*, Camellia Sinensis (Green Tea) Extract*, Tocopherol (Vitamin E), Sodium Benzoate, Potassium Sorbate, Linalool†. Below are reviews of Lavender & Rosemary Shampoo - Normal Hair - 236ml by bodykind customers. If you have tried this product we'd love to hear what you think so please leave a review. Lavender and rosemary extracts are combined with 13 other certified-organic ingredients plus soy protein and wheat amino acids to leave hair healthy, shiny and manageable.